Continuous delivery is a journey and application release automation (ARA) is its lynchpin. As application delivery becomes more streamlined and risk-free through automation, additional challenges emerge as the velocity, volume and complexity of multi-team, composite applications grow. Are you ready to take your continuous delivery journey to the next level? CA Release Automation offers exciting capabilities for DevOps managers and other stakeholders to jointly plan, orchestrate and optimize complex releases—without compromising speed or quality. 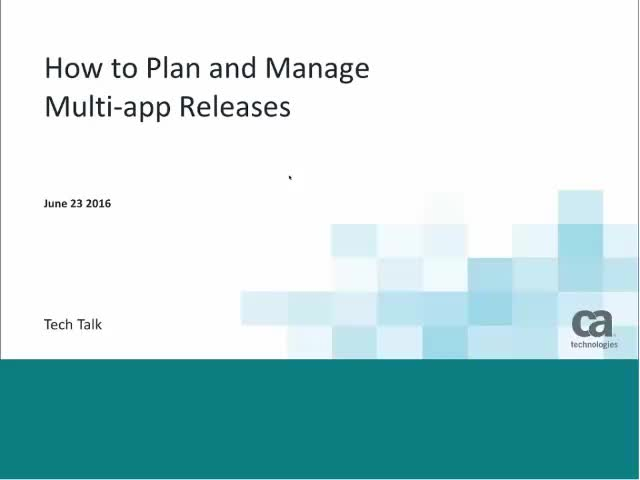 Learn how to master complex, multi-app releases before they become your next bottleneck.